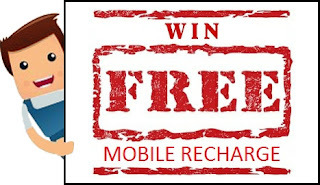 ENO Survey – Get Rs 50 Free Recharge for Giving Answers. Now Give a Miss call and Give answers of few questions and Get Rs 50 Free Recharge in Return. So Hurry up and avail this offer now !! 1) First of all, Open your Message Box. Note:- This offer is not verifed by us !! 3) Now You will get the SMS Back with a Number. 4) Call On Above Number & It will automatically disconnect after 2-3 Rings. Then you will receive a callback from ENO Team. 5) Now Receive that Call and Hear Welcome Message & Choose Your Language & Hear Call Till 5 Min. 6) After 5 Min They Will Ask You 4 Simple Question. Listen call until 5 minutes and Give answes. 8) Now Wait for Recharge.